"I threw the hot dog toward Tiger Woods because I was inspired by the movie 'Drive'"
Actor Ryan Gosling inspired a hot dog toss? 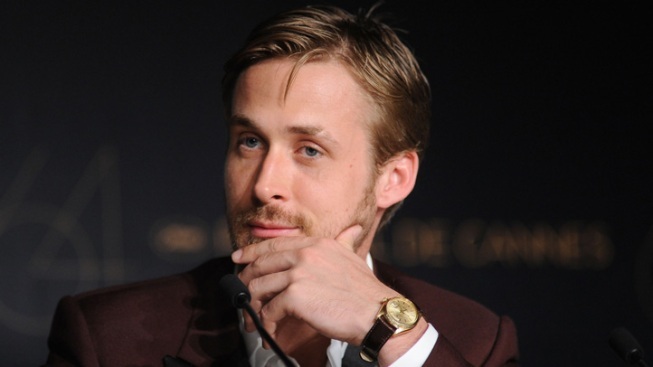 First, a woman sued after seeing Ryan Gosling's "Drive" claiming the movie didn't live up to the trailer. Now, a man claims the actor's movie inspired him to throw a hot dog at Tiger Woods. "I threw the hot dog toward Tiger Woods because I was inspired by the movie 'Drive,'" Brandon Kelly told the Santa Rosa Press Democrat, via The Associated Press, after he was arrested on Tuesday for tossing the snack food at the golfer during the Frys.com Open in San Martin, Calif.
"As soon as the movie ended, I thought to myself, `I have to do something courageous and epic. I have to throw a hot dog on the green in front of Tiger,'" Brandon, who claimed he's a fan of the golfer, told the paper. Brandon was arrested for disturbing the peace following the incident. VIEW THE PHOTOS: Life Before The Scandal: Golf's King Of The Course — Tiger Woods! "Some guy just came running on the green, and he had a hot dog, and evidently … I don't know how he tried to throw it, but I was kind of focusing on my putt when he started yelling," Tiger told the AP, recalling the incident. "Next thing I know, he laid on the ground, and looked like he wanted to be arrested because he… put his hands behind his back and turned his head." A spokesman for the Santa Clara County Sheriff's Office told the AP that Brandon's hot dog toss at Tiger would likely get him a fine and community service.